The all-new Kia Ceed GT-Line which takes its design cues from the higher-powered Ceed GT model made its public debut at the 2018 Paris Motor Show today. 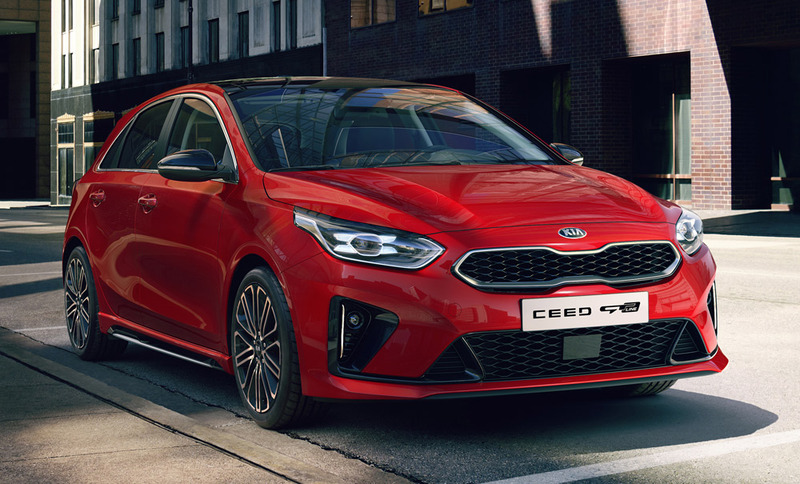 Strengthening the appeal of Kia’s new mid-size family car range, the latest Ceed GT-Line is available on every variant of the new Ceed, including the five-door hatchback and Ceed Sportswagon. The new shooting brake bodystyle of the ProCeed is sold as standard in GT-Line specification. From a design point of view, the exterior introduces a range of distinct GT-inspired features, including a satin chrome and gloss black ‘tiger-nose’ grille surround, unique 17-inch or 18-inch GT-Line alloy wheels, and newly designed front and rear bumpers which echo those of the Ceed and ProCeed GT. The fog lamp surround also incorporates horizontal metallic ‘blades’, similar to those found on the new GT models and the Kia Stinger. The car is available in a choice of 10 paint finishes. Move inside and there is a sportier ambience to the cabin. The grey roof lining of the Ceed and Ceed Sportswagon is replaced with black cloth to cocoon occupants, and the door sills feature metallic scuff plates. There is a sporty D-shaped steering wheel as standard and, for models equipped with Kia’s double-clutch transmission, drivers can change gear with metallic steering wheel paddles. GT-Line models are available with a choice of engines, including Kia’s 1.6-litre Smartstream CRDi (Common-Rail Direct injection) diesel engine with either 113 or 134bhp. These engines are paired with a six-speed manual transmission or Kia’s seven-speed double-clutch transmission. 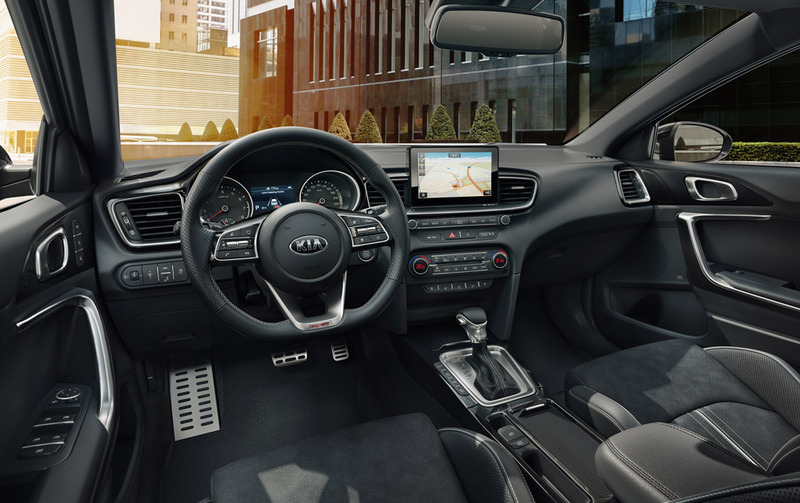 Creature comforts are plentiful and include a ‘floating’ infotainment system, available as either a 7.0-inch touchscreen audio system or 8.0-inch touchscreen satellite navigation system with navigation and Kia Connected Services powered by TomTom. The system enables full smartphone integration with Apple CarPlay and Android Auto. Other technologies include a JBL Premium sound system, a heated windshield that melts away frost, ice and windscreen mist at the push of a button, a wireless smartphone charger, heated and ventilated front seats, and heated rear seats as an option. In addition to the car’s six standard airbags, advanced driver assistance technologies offer added protection. Standard safety technologies include high beam assist, driver attention warning, lane keeping assist with forward collision-avoidance assist. Cars are equipped with a reversing camera displaying a live feed of the view behind the car to minimise driver blind spots when reversing. Additional available technologies include smart cruise control with stop and go (for models equipped with seven-speed double-clutch transmission), blind spot collision warning, rear cross-traffic collision warning, smart parking assist, and a forward collision-avoidance assist system with pedestrian recognition. 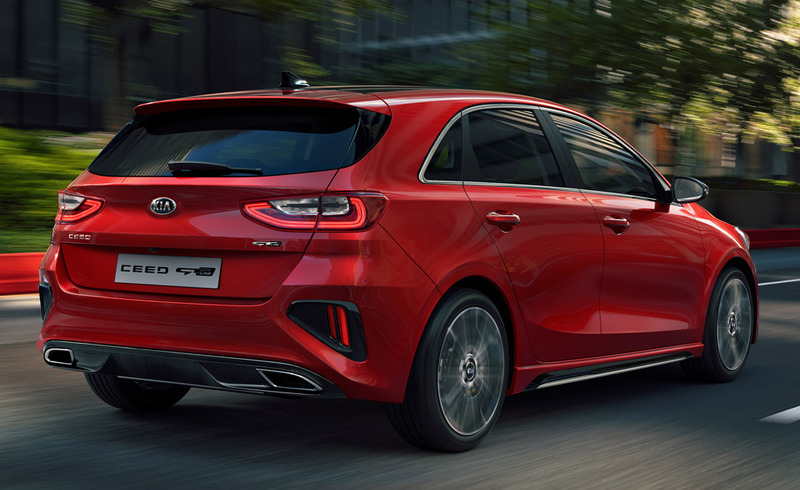 Every Ceed is equipped as standard with Kia’s vehicle stability management that ensures stability when braking and cornering by controlling the car’s electronic stability control if it detects a loss of traction. Full UK specification, pricing and on-sale date will be announced in due course.